To Sum It Up: It’s been nine months since Wendy Darling’s younger brothers, John and Michael, disappeared. Her parents are struggling to come to terms with the police’s assumption that the boys drowned while surfing, but Wendy refuses to believe they’re gone. She sets out on her own search to find them, hoping that following the waves will lead her to her brothers. Review: I’m going to start by saying that I have some very mixed feelings about Second Star, even after taking a few days to mull it over before sitting down to write the review. The novel is a reimagining of Peter Pan, with a protagonist named Wendy Darling who goes searching for her two missing surfer brothers, John and Michael. Wendy believes that her best chance of finding them is wherever the biggest waves are, and her travels bring her to a small group of surfers led by the mysterious Pete. While the surfing spin on the original tale was interesting, Wendy’s actions throughout Second Star posed a huge problem for me. I spent almost the entire book frustrated with her and firmly decided on what I was going to rate the book overall. The ending, however, threw a bit of a wrench in that because, although it stopped well short of justifying Wendy’s behavior, it did cast her character in a slightly different light. Slightly. 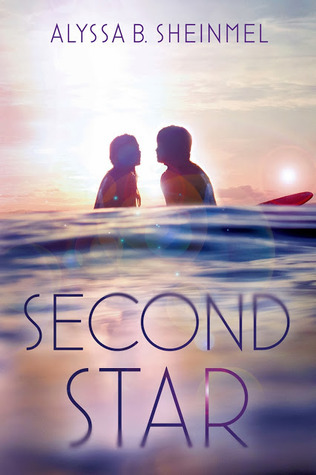 Second Star began strongly enough; I quickly became invested in the search for John and Michael, and I gave Wendy credit for striking out on her own to find them. Things started unraveling quickly, though, with Wendy making one head-shaking choice after another. Assist with a burglary? Sure, if it leads to a clue about John and Michael. Take drugs? Sure, if it leads to a clue about John and Michael. I could not wrap my head around Wendy’s logic, or lack thereof, really, no matter how much she tried to rationalize some of her poorer decisions as the means to finding her brothers. That’s another thing—as the tie that’s supposed to bind this whole story together, I never felt depth to Wendy’s relationship with John and Michael. Okay, I realize how coldhearted I sound saying that, but I thought Wendy kept getting sidetracked by her adventures with Pete and Jas, another surfer whom I’ll discuss in a minute. Sometimes John and Michael seemed like an afterthought, referenced whenever Wendy remembered that she was supposed to be looking for them. The other major issue I had with Second Star was the insta-love. Times two. Wendy finds herself torn between Pete and Jas, both of questionable character and, surprise, not exactly best friends. What I really couldn’t cope with was how Wendy would madly be in love with whomever she happened to be with at the time. If she was in Pete’s company, Pete was her guy; if she was with Jas, Jas was her guy. Personally, I didn’t think either made a particularly good love interest, both in the sense of having chemistry with Wendy and, um, being law-abiding citizens. Now to address that ending. It’s a departure from the rest of the novel, which reads like a contemporary up until that point. But—the ending actually makes sense for a Peter Pan retelling, if that makes sense. It was a fitting touch, but unfortunately, it wasn’t enough to alter my feelings toward the other aspects of the book that bothered me. All in All: This was not the Peter Pan retelling I’d hoped for. This was a new one for me and I admit when I read the blurb and you mentioning it was a Peter Pan retelling had me curious. Not anymore though. This sounds like a very frustrating read. The whole premise sounds like it should have been about Wendy's brothers but it sounds more like it was about Wendy having fun and flirting with boys o.O Insta-love is bad enough on it's own without doubling it up - yikes! I definitely thought that Wendy got distracted too easily and then would suddenly remember she had something important to do. And the insta-love- it was really, really tough to deal with a double dose of it! Oh no! I was really curious about this one because of the retelling factor. Now I'm not so sure because of the things you mentioned. They would probably bug me too. Thanks for the honesty though. I think the story had a good deal of promise, but this was one of those times where the execution just wasn't there, which was too bad. Aw no, I really hate it when there's a love triangle and the MC is madly in love with whomever she can nearly literally see at the time. That happened in The Elite by Kiera Cass which drove me crazy. I think that if there's going to be a love triangle there has to be a good reason for it. In all honestly I have never witnessed, been apart of or known a love triangle to happen in real life. I just don't think it truly exists. As for the book I don't think I will be picking this up, a retelling of peter pan sounds interesting so its a shame this one didn't pan out! I think most "love" triangles are more attraction than love, and the same applies to insta-love- it's attraction rather than love at first sight. I was really frustrated with Wendy switching all of her affection to whichever guy she was hanging around with at the time. I mean, whatever happened to her love for the poor dude who was momentarily on the sidelines? That's not love to me, and I wanted so badly to tell her so!